I could write a book on what I want to say on this subject right now, but I'll refrain. 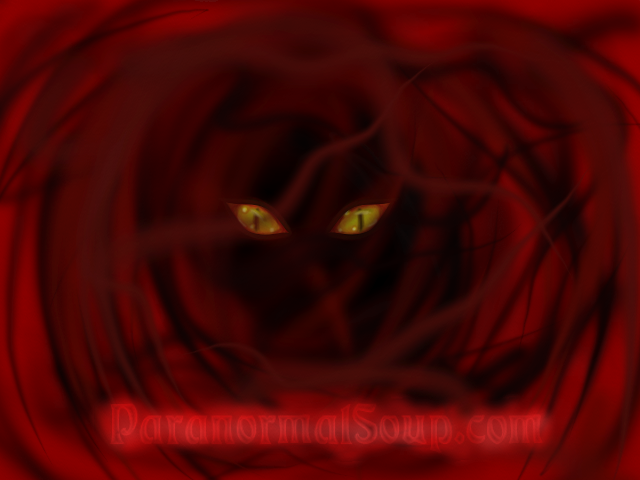 Sherinator, you might be a good candidate for a paranormal related study. .........anyway, I hope the increased treatment does the job. Please keep us informed as to how things go regarding your dosage change. I will especially find the results interesting. Are you doing other things for your illness? meditation? yoga? exercise-regiment? therapy? support groups, social groups? I'd be happy to help in any paranormal study. Did things seem to escalate when you did the EVP sessions?...I just ask because...I've been hearing voices and experiencing physical/bodily sensations & disturbances since 2015....it happened after I was doing EVP recordings on a very regular basis for two months that winter....it's not possession ( or I hope it doesn't come to that) ...but rather more an attachment / oppression situation I believe....actually the main voice that I still hear sounds like a young teenage girl and I was hearing her voice on many of my EVP recordings back in 2015....anyway....I was just curious if you think those EVP sessions had any impact on your situation? Whoa, yeah. Doozy of a topic. I have some experience with this, both personally and through spiritual work with others, and I think there *can* be a connection. Some forms of mental illness, like addiction and other problems, leave etheric cracks in the sufferer's personality that make them more susceptible to paranormal attachments. Doesn't mean every mentally ill person experiences this, just that there can be an underlying causative connection. People with sight can often sense this on a person, parts of their aura appear to be cracked and "leaking" energy, which other things will come to leech or feed on. The most dangerous example I experienced was an apartment supposedly haunted by the ghost of a tenant who committed suicide violently. Over time it became clear it wasn't a human spirit at all but some other entity somehow associated with the tenant's suicidal state. It was nasty and hard to remove. In general I've found the entities associated with mental illness to be nothing nice and I feel bad for people who deal with these problems, often with little support from conventional medicine. Of course if you're the skeptical type and don't believe in auras, the etheric plane etc., this explanation won't be of help to you. Just sharing one perspective. Edited by spineofsnake, 13 October 2017 - 09:27 AM. Negativity, contention, evil thoughts, etc. can certainly attract entities. I don't think everyone with a Mental illness experiences the paranormal... but they are vulnerable in my opinion. Having a mental illness or a weakend mind due to stress or something similar can attract negative entity's. It makes them more venerable to the harassment that the evil ones seem to like to create. This does not mean that everyone who's I'll, or stressed is going to have an experience, but it does seem to attract the evil ones. I think you're right, Siguie.... more so for entities than ghosts. It is in my opinion that the laws of attraction are at play when it comes to mental illness and the paranormal. If you are depressed then you may attract entites that mesh well with that type of "vibration". interesting... my son, who lives with me, (age 42) has bi-polar. We had a ghost for more than 25 years, that followed us twice when we moved. The ghost seems to have left us about a year ago. I thought he was back, but guess that is not the case, or he is being awful quiet. My son still lives with me, still has bi-polar, but the ghost leaves anyway. Just throwing this in the pot for you to think about. I'm thinking, the ghost/entity attachment is not necessarily a lifetime commitment. I'm sure they're able to break ties eventually (if they want) and move on. That's my thoughts on the matter. I also believe we have the ability to change things. I think things like this stay until we learn from the lessons. If we keep doing the same things (negative) I believe the negativity hangs on. If we can see how to climb out of the negativity by bringing positivity in, then things can only change. I pretty much believe that if they are not attached to the property for any reason, then they can come and go as they please. In our belief, we believe this attraction is due to karmic affinity, something to do with our past lives. I have a friend who is a Buddhist master. He was trained in Thailand. He lived in the forest during his training. He said he was born with a special gift and he acquired psychic power there where he can see spirits, senses their presence and etc. He performs exorcism with ease. He can tell if the person is possessed or is having mental issue just by looking into their eyes. He is now retired. He said most of his "patients" who claimed they were possessed were actually having mental issues. Due to their depression they tend to imagining things. He would use different approach to treat them which is non spiritual. I read some years back that entities will focus or attack (for a lack of a better word) a single person in a household. An effort to cause stress and mental harm to that one person while everyone else is thinking that person is losing their mind. Has anyone else seen or heard of this type of focus from an entity? There was a movie about a family that bought a house that had an attached apartment the wifes parents lived in. It was supposed to be based on actual events. Cant remember the name though :-(. The entity was only attacking the wife in ways to make her think she was going crazy. It happened to me when I was younger, it got so bad that I tried to kill myself. It was a horrible time, my dad and stepmom would make fun of me for telling them that I was seeing things and experiencing stuff that wasn't normal. My mom thought I was messing around with the devil, black magic, or ouija boards, which I wasn't, I was just trying to survive high school and draw lol, I had no interest in what was going on with the paranormal. So anyways, this was going on for a whole year, and I just was so sick and tired of everything, and the thought in my head one night was "You should kill yourself." And I tried, I failed. (Thank goodness) So after that incident, which I haven't really told anyone in my family, just my husband and one friend, and well, you guys. I went online and was looking up things about ghosts. And I found ghost study. Which helped me a lot, just feeling like I wasn't the only person in the world going through that gave me the strength to carry on. Then one day, we moved out, and it was a major energy difference between the two homes. I felt much better, I mean, I still experienced things, but they weren't the same. And still aren't.